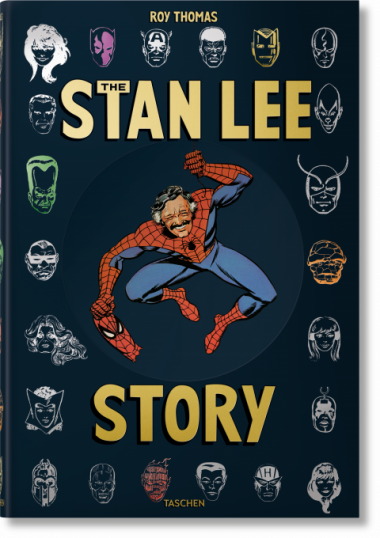 First published as a signed Collector’s Edition and sold out within a week, this is an unparalleled account of the life and times of Stan Lee, written and edited with the Godfather of comics himself. 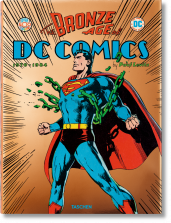 His tale is told by Roy Thomas, who brings “you are there” insights to Lee’s journey alongside never-before-seen photographs, original comic art, and rare comicbook facsimiles—a tribute worthy of the Man. This is the big one, True Believers! The mostly true tale of Stan Lee: a Giant-Size extravaganza, nearly ten years in the making, about the one and only Godfather of Comics. From his childhood in Depression-era New York, to transforming Marvel into the number one comics publisher in the world, to his 21st-century reinvention as Chief Creative Officer of global entertainment company POW! Entertainment, Stan “the Man” Lee stands the test of time as the most legendary name in comicbook history. 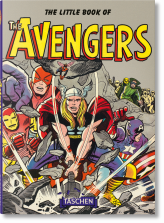 Stanley Lieber began working at Timely Comics in 1940 at the age of 17 and found himself at the helm of the bullpen as its top editor just two years later. 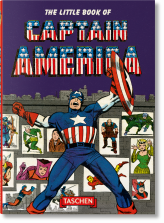 But it wasn’t until 1961 that he ignited a revolution known as the “Marvel Age of Comics.” With a legendary stable of art partners including Jack Kirby, Steve Ditko, John Romita, and Jim Steranko, Lee unleashed a dizzying cascade of seminal comicbook creations—the Fantastic Four, Hulk, Spider-Man, Thor, Iron Man, the X-Men, and the Avengers to name a few. After moving to Hollywood in 1980, he did it again, developing TV and film projects that laid the groundwork for the “Marvel movie.” Stan’s constant cameo presence in these billion-dollar worldwide events is a testament to his influence. As the man behind POW! Entertainment, he became a master of all media—working with rock stars and professional sports leagues, movie mavens and reality TV shows—reinforcing his creative stature the world over. 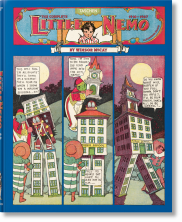 First published as a signed Collector’s Edition and sold out within a week, the book was written and edited with Lee’s full cooperation. 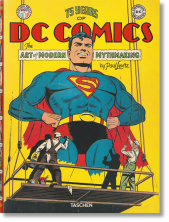 His tale is told by his successor at Marvel, renowned comics writer, editor, and historian Roy Thomas, who brings “you are there” insights and wide-eyed clarity to key moments of Lee’s journey to pop culture immortality. 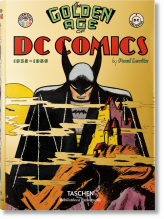 Featuring hundreds of treasures of comicbook art, intimate photographs sourced straight from his family archives, a foreword written by Lee himself, a novel-length essay and new epilogue by Thomas, and an appendix with complete reprints of Stan’s comics from throughout the decades, this is a titanic tribute worthy of the Man. 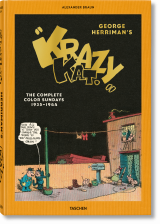 First published as a signed Collector’s Edition, now available as an unlimited XXL edition. Stan Lee (1922–2018) is known to millions as the man whose super heroes propelled Marvel to its preeminent position in the comic book industry. His co-creations include Spider-Man, The Incredible Hulk, X-Men, The Fantastic Four, Iron Man, and hundreds of others. As the Chairman Emeritus of Marvel, he was also the Chief Creative Officer of POW! Entertainment, where he created numerous new characters and stories in areas including publishing, film, TV reality, stage, documentary, and multimedia.